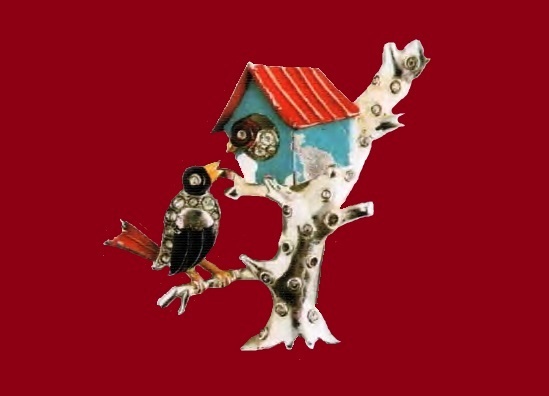 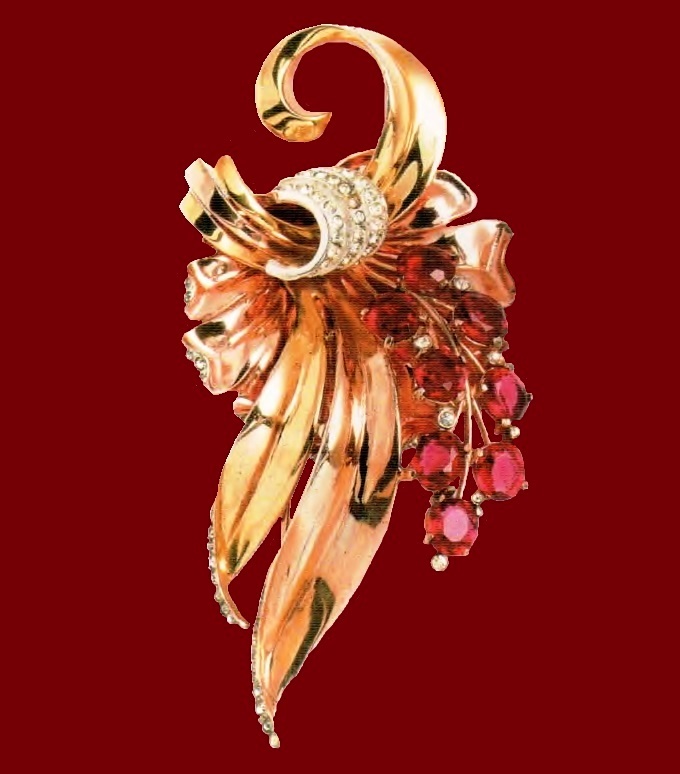 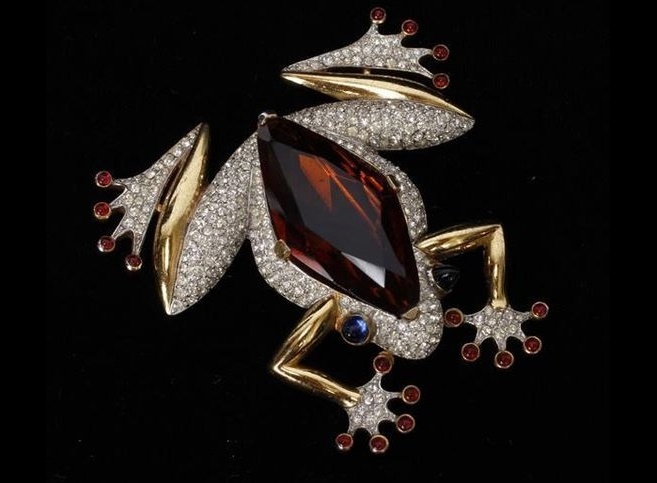 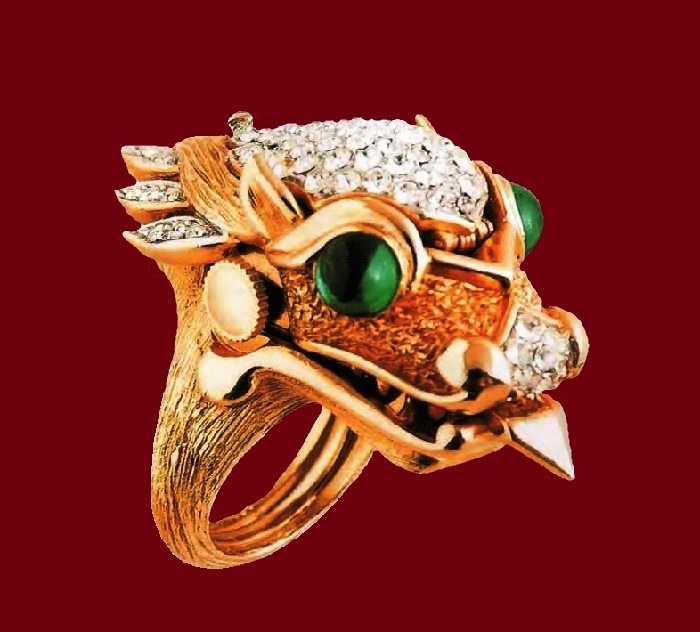 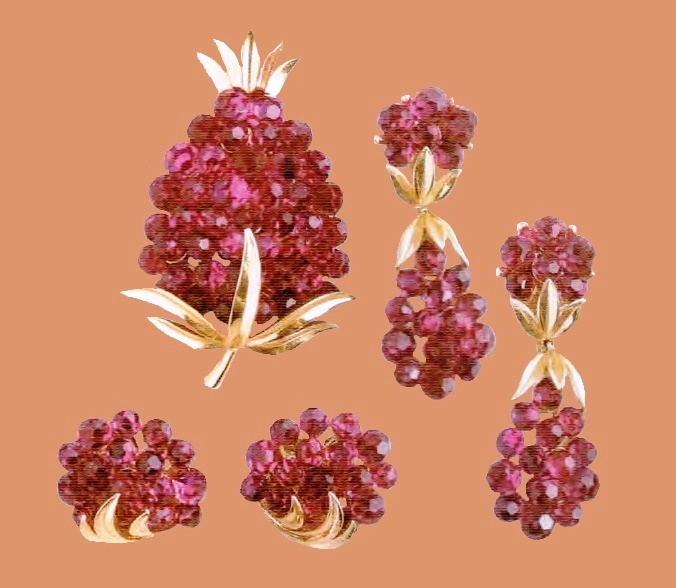 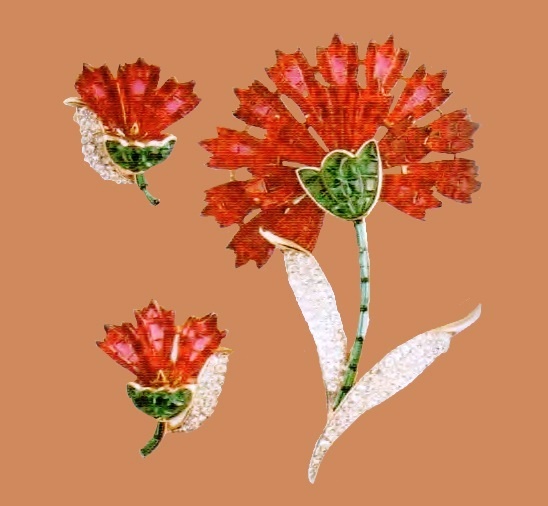 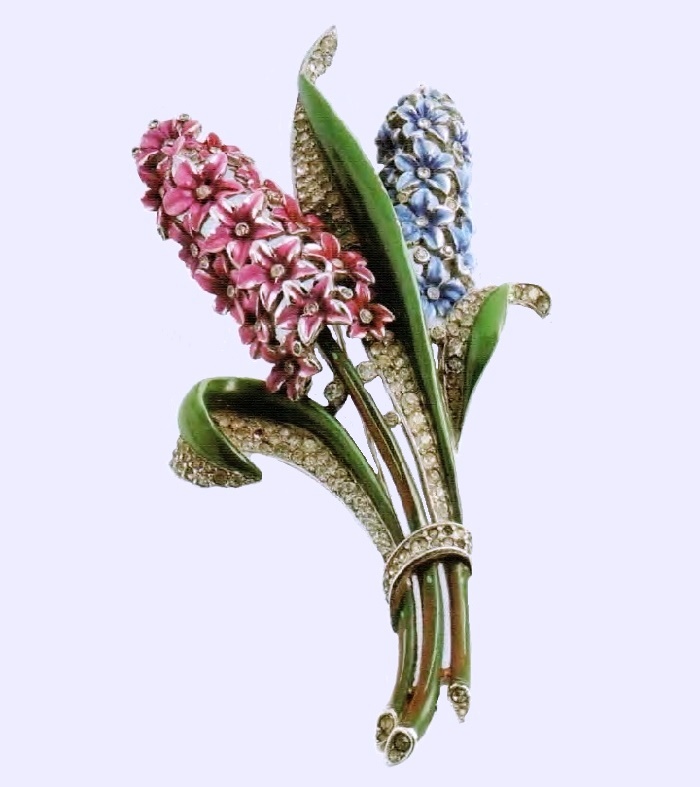 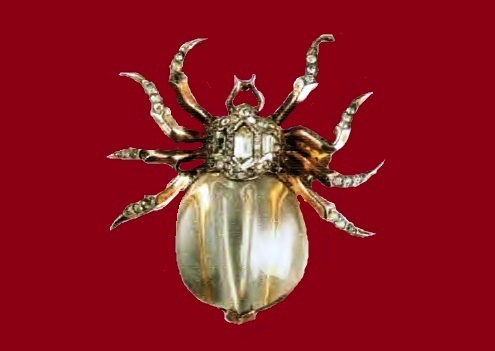 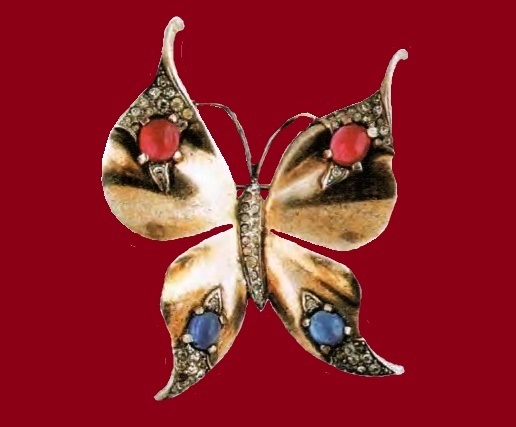 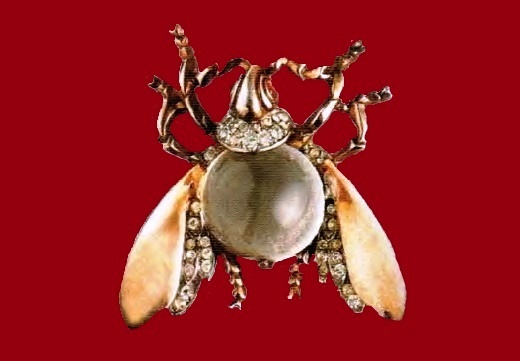 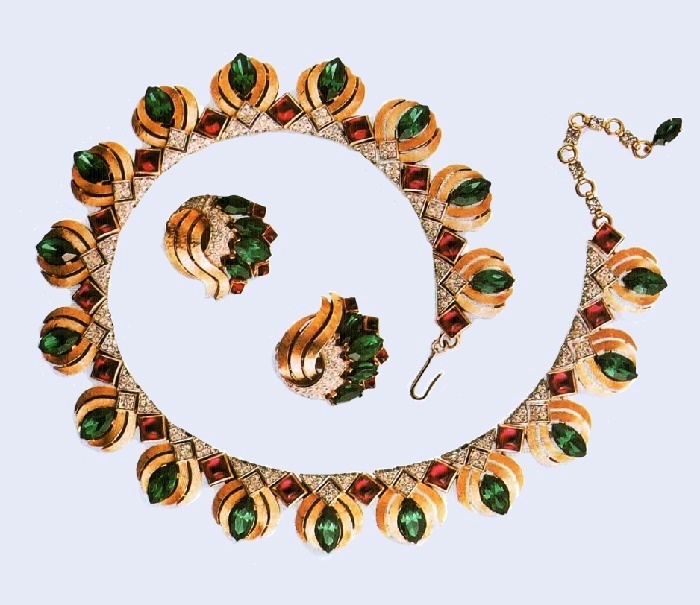 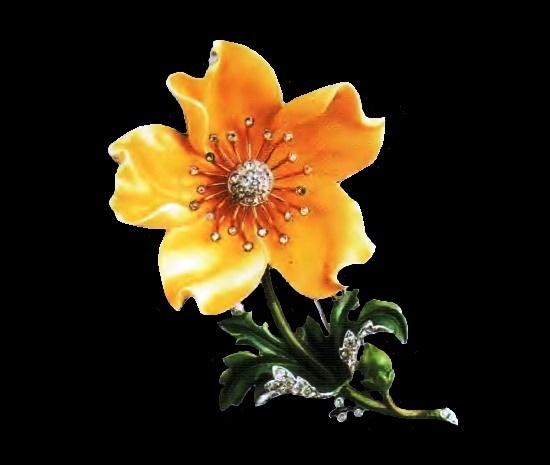 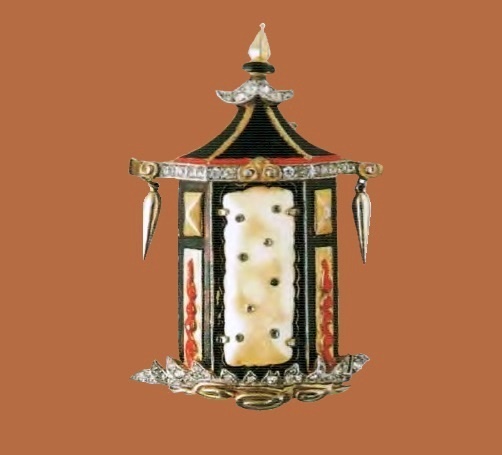 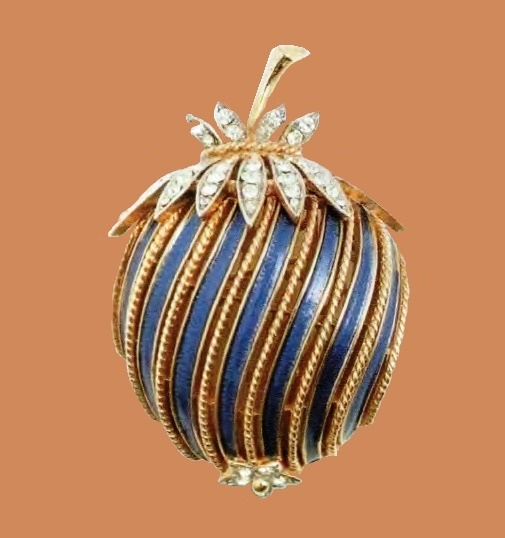 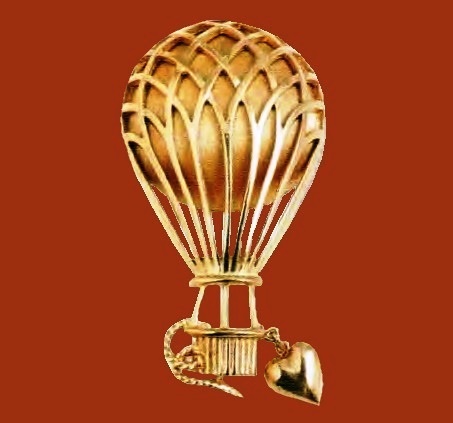 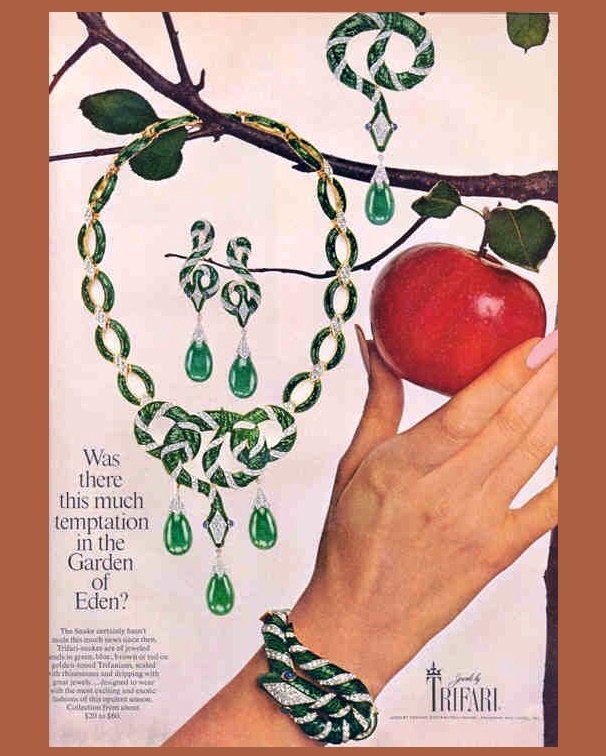 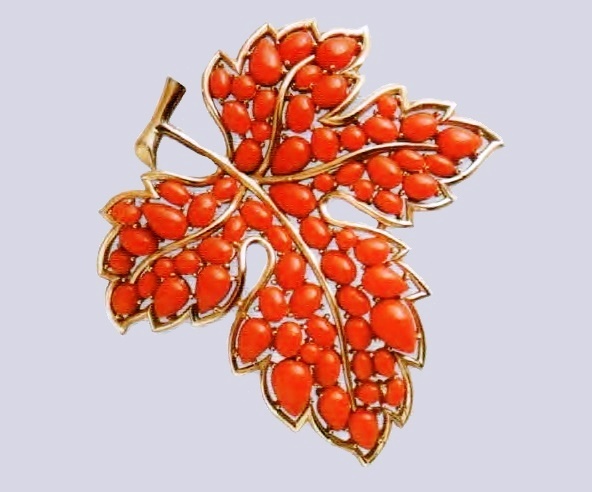 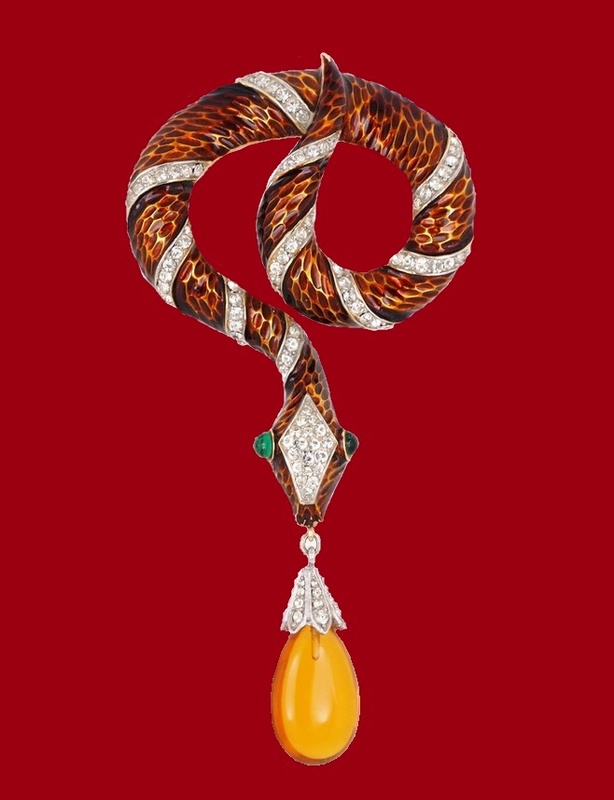 Noteworthy, created by Alfred Philippe designs are masterpieces of costume jewelery, now the prices for many of his ornaments can cost thousands of dollars. 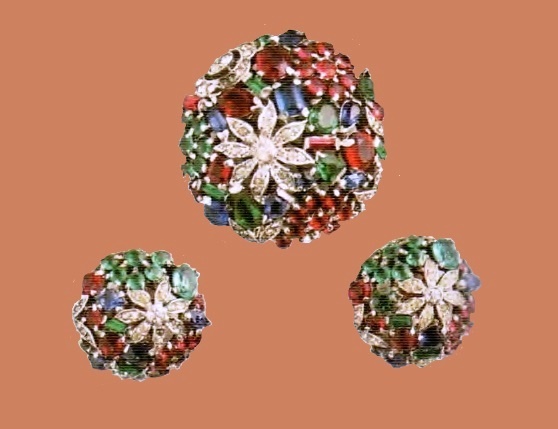 Popular “Crown” brooches by Alfred Philippe of the 1940s, inlaid with large cabochons and decorated with rock crystal, have become a real masterpiece. 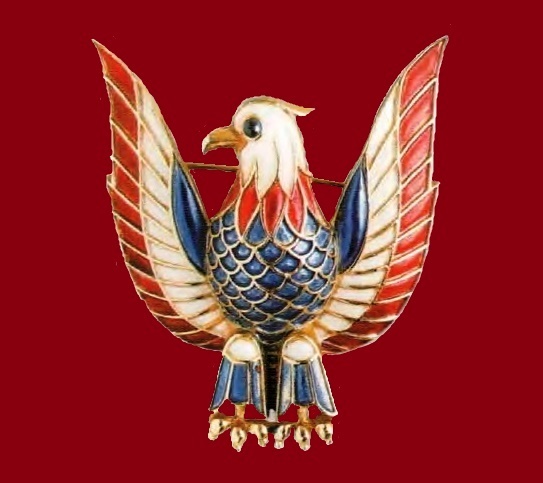 Nevertheless, the work of the 1940s. 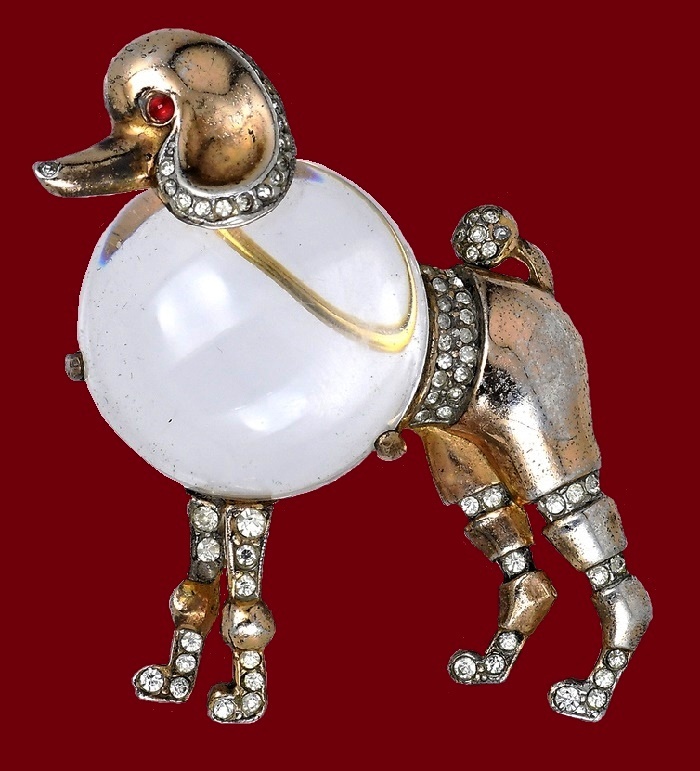 of heavy gilded silver should not be confused with their copies of the 1980s, made of lighter metals, which cost less. 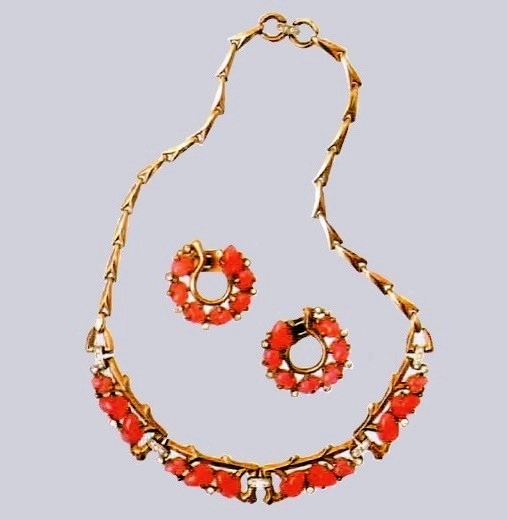 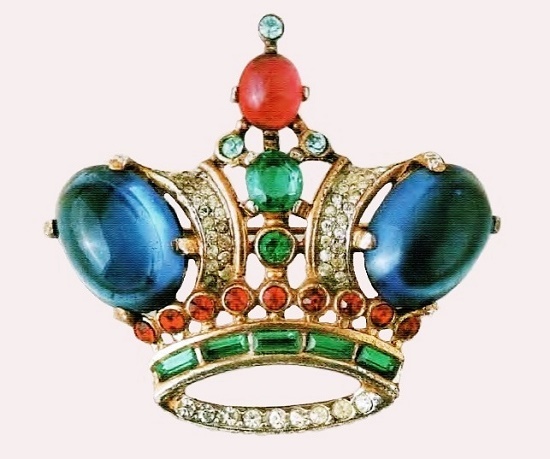 One of the most popular collections, produced under the direction of Alfred Philippe in the 1940s – is “Jelly Belly”, as well as brooches in the form of crowns. 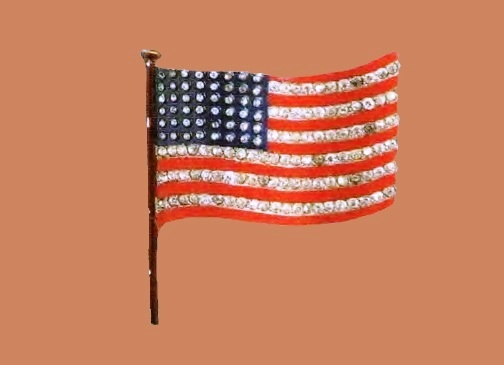 Also, decorations of patriotic subjects, including the American flag and brooches in the form of eagles, glorifying the American Armed Forces of the Second World War. 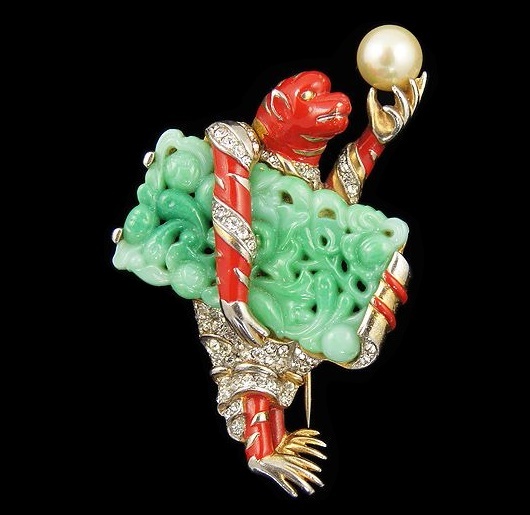 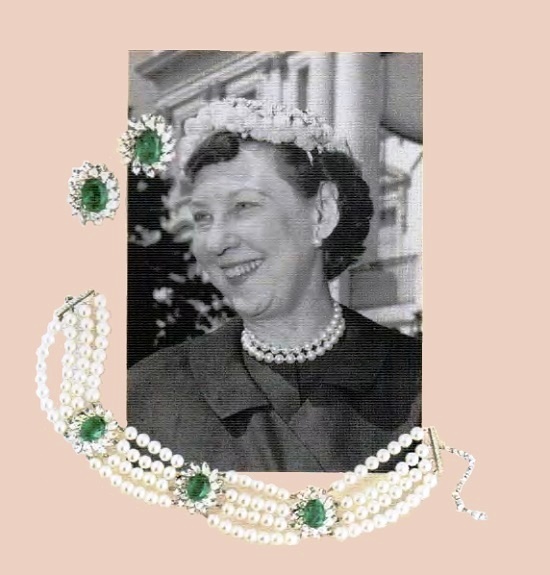 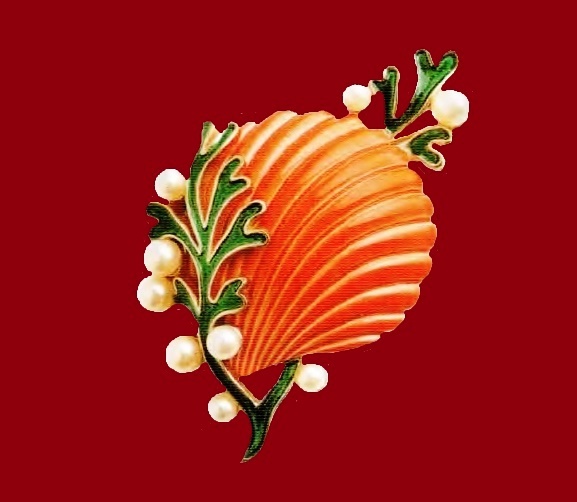 Artificial pearls and “precious” stones of the 1950s experienced a second birth, as well as combinations of pearls and gold. 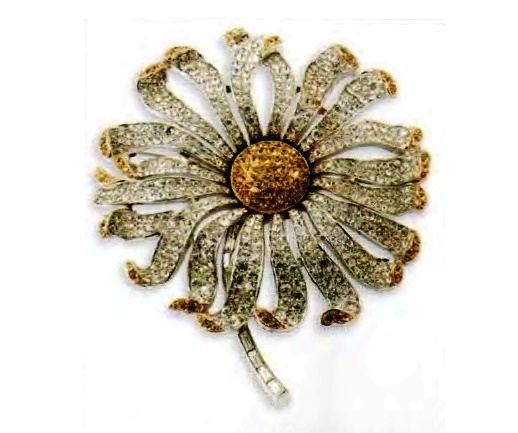 However, because of their unfading popularity, decorations in floral motifs proved to be the most long living. 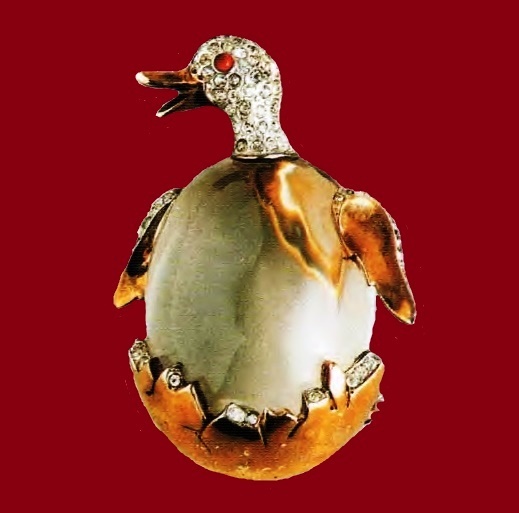 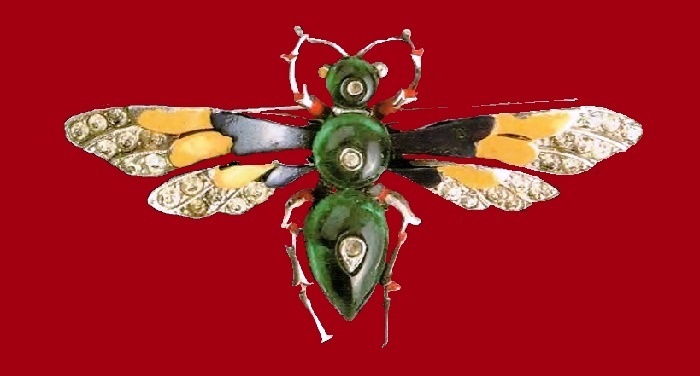 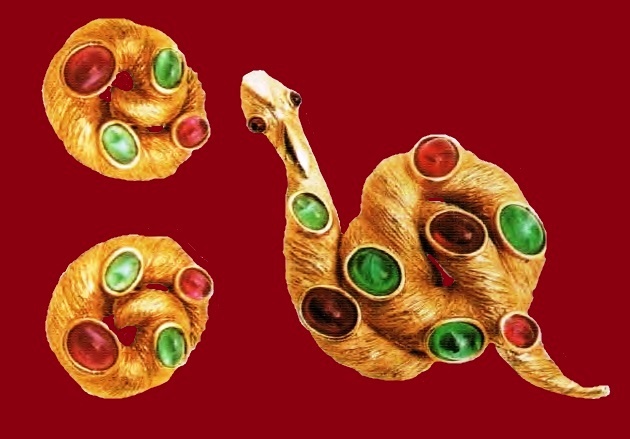 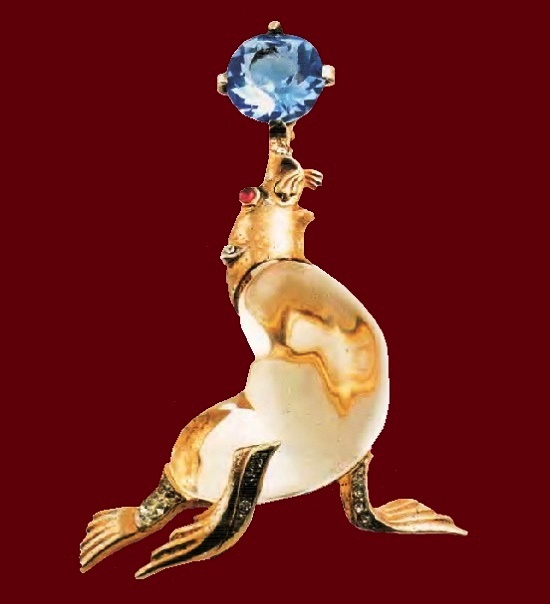 – a collection of jewelry “Jelly Belly” – released during the Second World War – brooches in the form of animal figures, mostly birds and fish, with a tummy made of transparent acryle from DuPont. 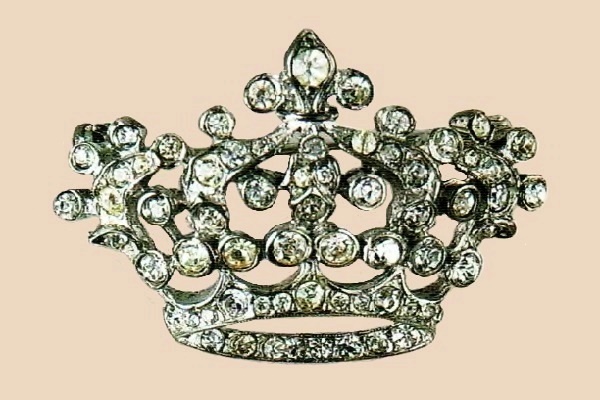 – the famous brooch “Crown Trifari” – first released in 1941 and signed “Trifari Sterling” and “Pat. 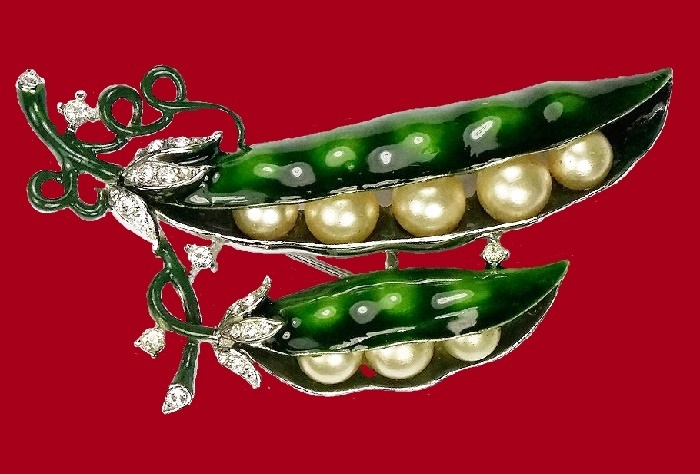 Pend”. 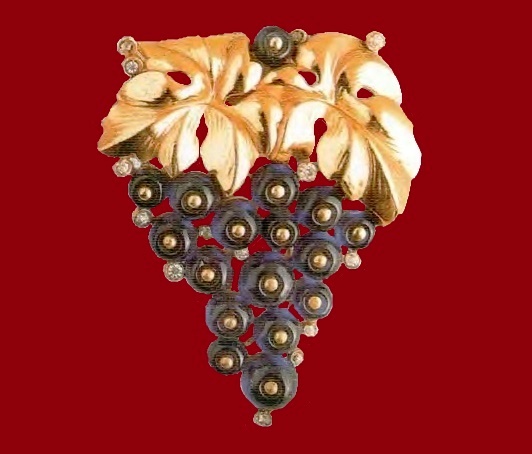 The patent received on March 28, 1944 (patent number 137542). 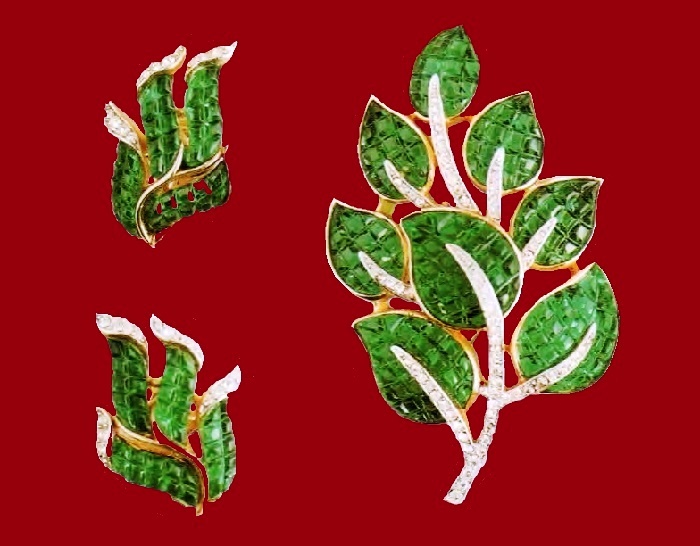 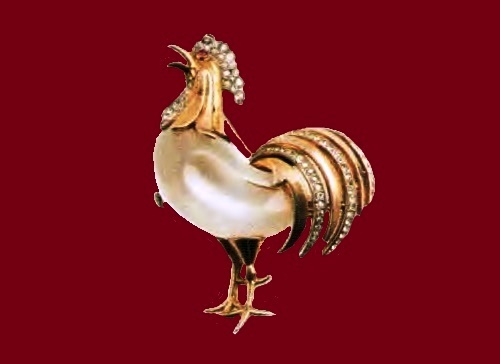 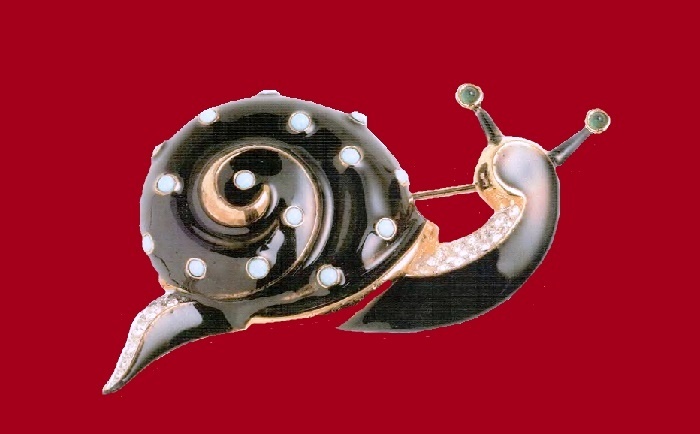 These brooches were reissued in 1947 in two different sizes in gold and silver. 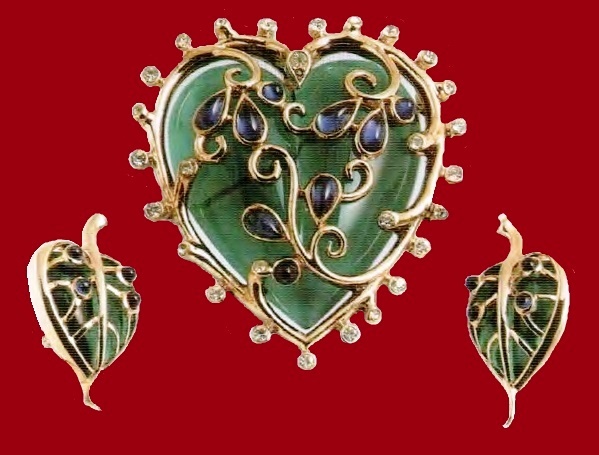 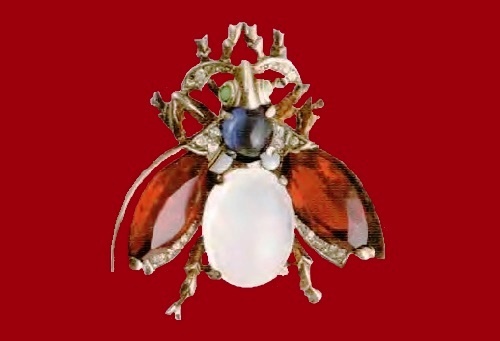 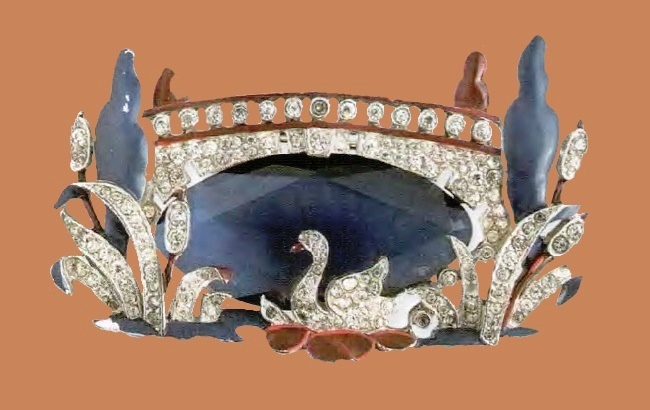 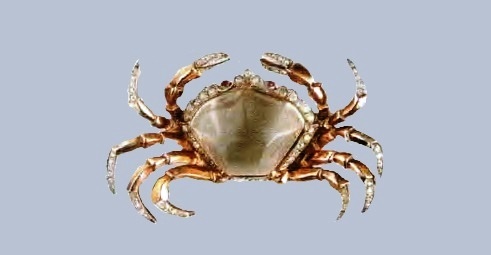 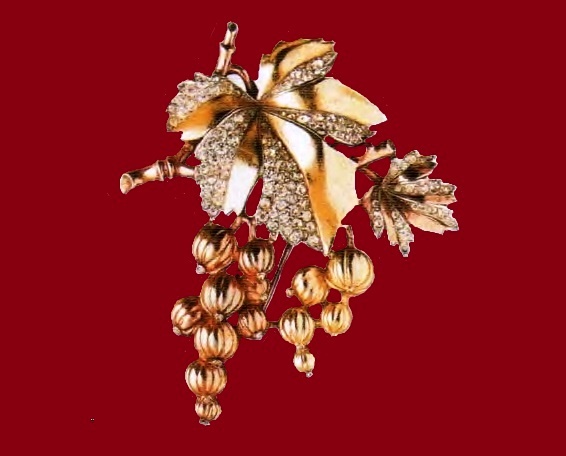 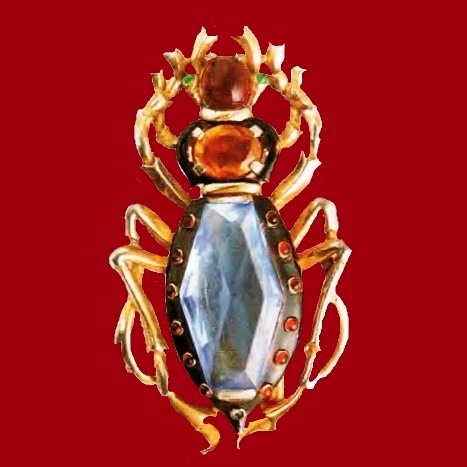 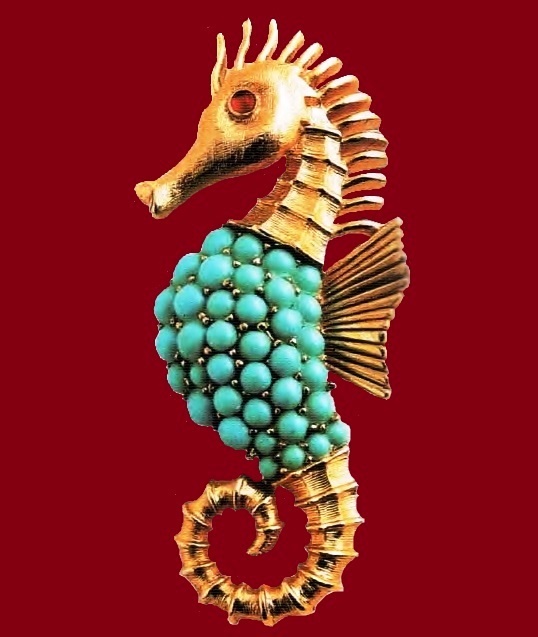 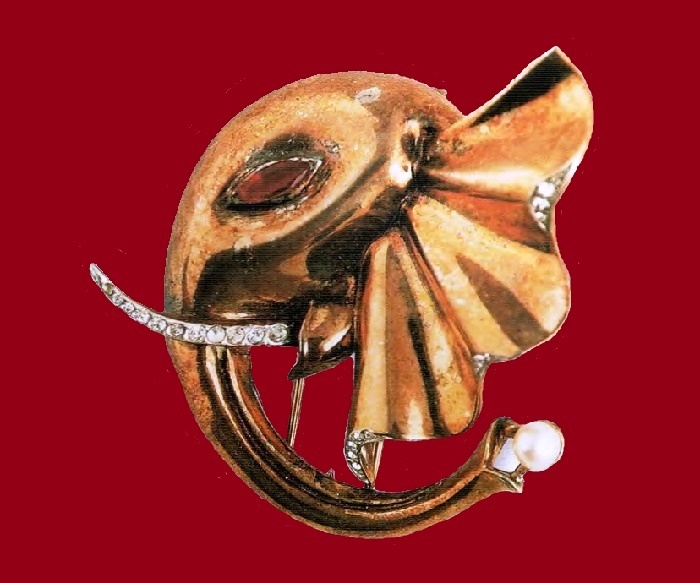 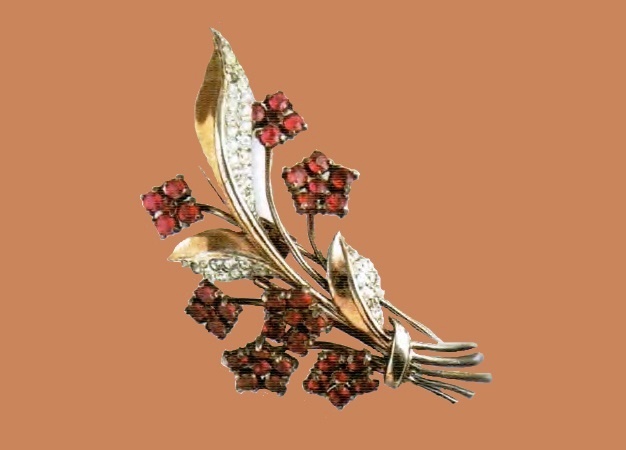 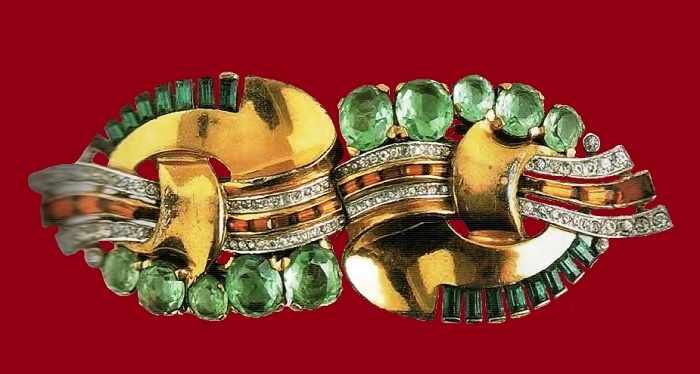 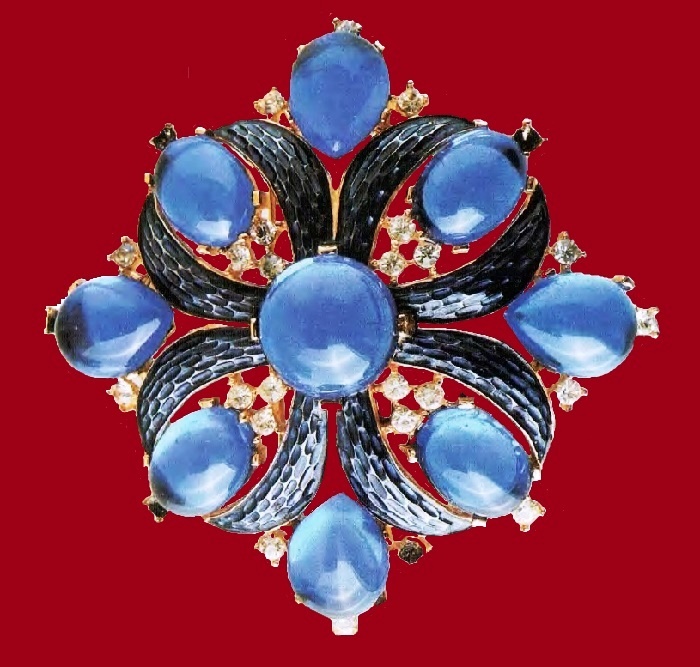 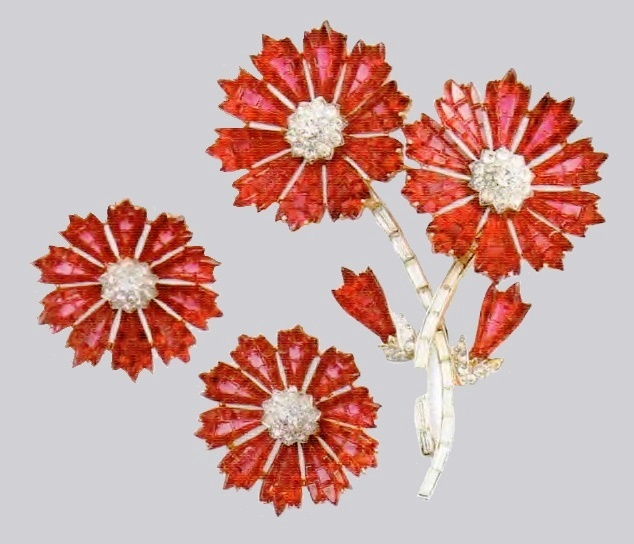 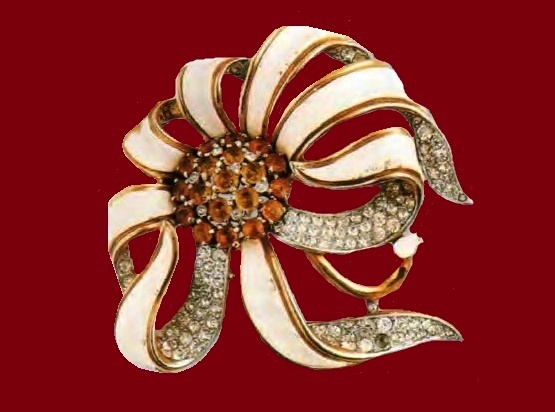 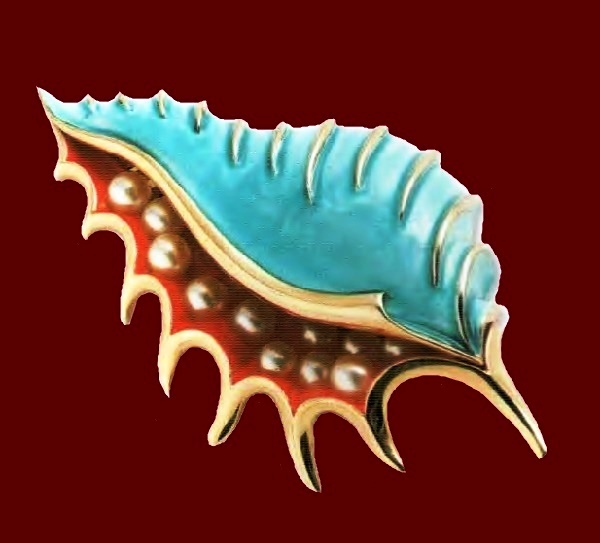 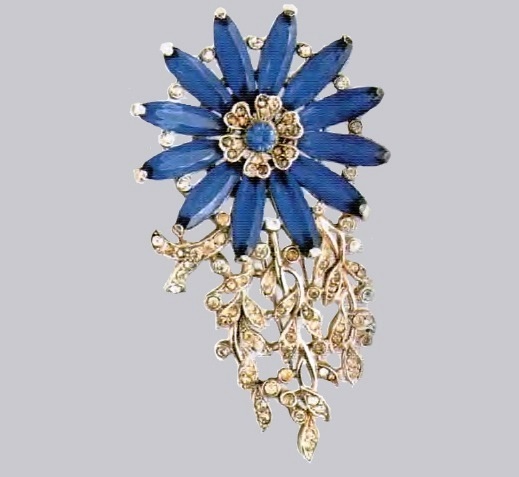 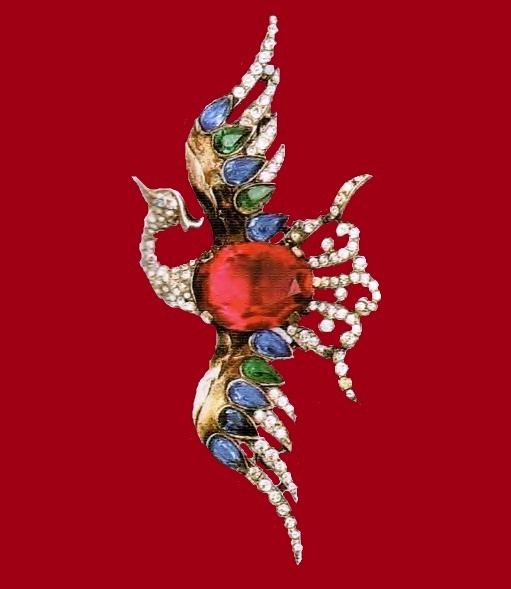 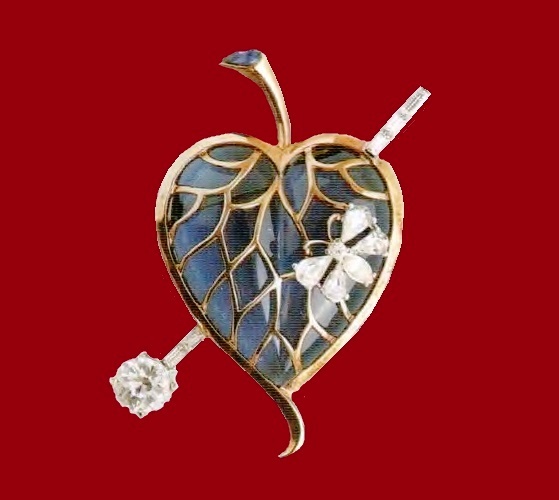 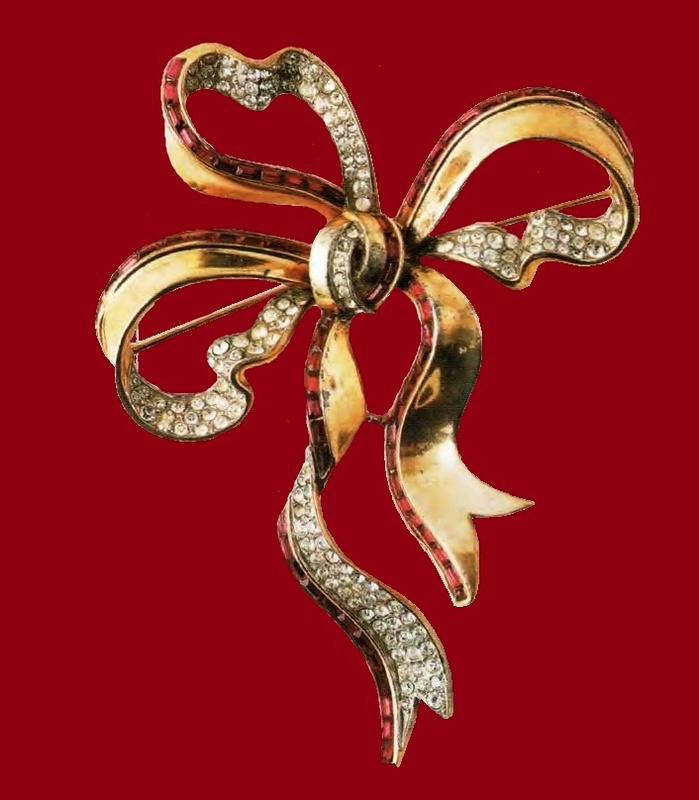 Brooch in the form of a crown continued to be one of the most famous and favorite ornaments of “Trifari”, reissued in 1951, 1955, 1960 and in the late 1960s. 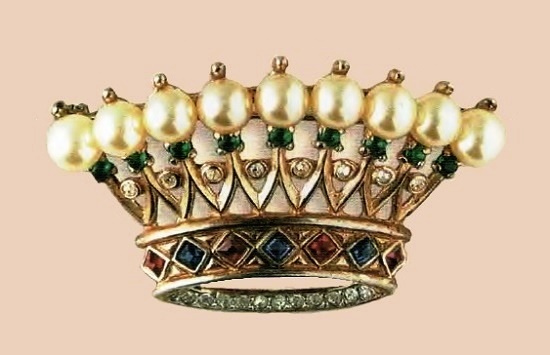 The last time small changes were made to the design of the crown – added pearls.